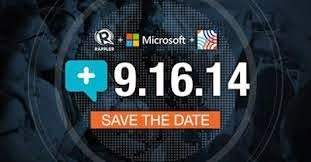 Globe Telecom, popularly known for its “0916” and “0917” prefixes, celebrates September 16 and 17 with the Social Good Summit which will examine the role of technology and new media in addressing difficult challenges that the country faces particularly in the area of disaster risk reduction and management (DRRM). PH+SocialGood: Manila #2030NOW, is a two-day Manila leg of the New York-based initiative to be held at The Mind Museum, will particularly focus on how technology can be used to deal with climate change and the impact it leaves behind; how businesses can transform and empower women; how efforts to collapse the digital divide are helping bring the Internet to everyone; and finally, how people can help ensure that there will be no casualties when the next typhoon comes. Globe has been very active in helping communities affected by disasters not only through quick assistance such as Libreng Tawag and charging activities and relief operations but more importantly, by providing them the means to get back on their feet and live normally again. Globe Telecom is a major sponsor of PH+SocialGood: Manila #2030NOW organized by Rappler, Microsoft, and the Global Center for Journalism and Democracy where international and Filipino speakers will talk about their passions and how technology has helped them. Among them are: Praveen Agrawal, Country Director, UN World Food Programme; Kelli Arena, Executive Director, Global Center for Journalism and Democracy; Jackie Chang, Product Partnerships Manager, Facebook; Luli Heras-de Leon, President, Ayala Foundation, Inc.; and Lucille Sering, Vice Chairperson, Climate Change Commission.